DCP / Digital Cinema Package, simply defined, is a collection, usually on a hard drive, of digital files containing Digital Cinema (DC) images, audio and related data. 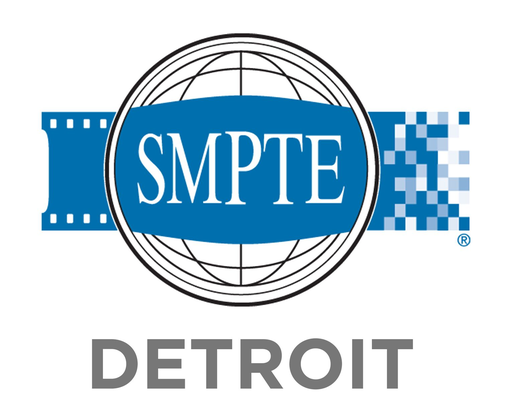 How a motion picture now gets to a theater screen via DCP is the topic of this month’s Detroit SMPTE program. With the conversion from film to digital projection for theatrical presentation nearly complete, your local multiplex, independent theaters and many film festivals now specify DCP deliverables, replacing video tape, movie files, DVDs, and yes, film. While the “majors” now do this on a regular basis, independent and student content creators are frequently unclear on how or where to have DCPs made for distribution or festival showings. This is evident by the many questions on the topic on industry online forums. AV Materials and metadata must be properly organized, formatted and structured to meet SMPTE and DCI (Digital Cinema Initiative) standards and specifications (do not try this at home). The process of creating a DCP is, at present, best left to an authoring facility. Our presenters will guide us through the process involved in DCP authoring and distribution. Rob Smith is a long-time engineer and editor, whose résumé also includes many top local and outstate client facilities. Rob balances these skills to provide a variety of services. While frequently a production EIC or DIT, he also has contributed to a number of facility installations and interactive multimedia display designs for major clients. Tom Phillips, owner of Water Hill Creative, is an award winning creative with over 19 years in the post-production industry. His experience covers national spot work, special venue displays and feature film work with expertise on every level from acquisition to final delivery. We hope to also have theater operators and digital cinema service providers present, to provide added value to the presentation. Managers dinner, starting at 5:30PM at The Red Olive, 33326 Plymouth Rd., Livonia, MI 48150. All are invited to join us. IMPORTANT NOTE: I-96, under reconstruction in Livonia, is a giant dirt canyon. Five Mile, Six Mile or Plymouth Roads are some east-west alternatives. Many thanks to Madonna University and Chuck Derry for meeting site and refreshments. As always, there is no admission charge to this meeting.